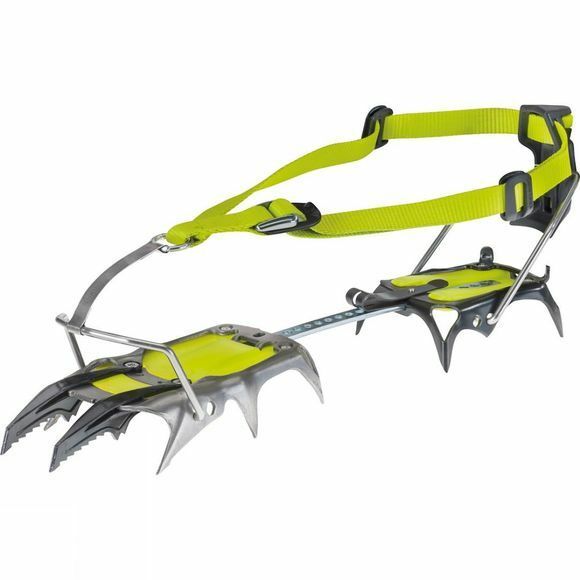 The Beast Crampons from Edelrid are made of high-grade steel for steep ice and mixed climbing. The intelligent interchangeable system means you can separate front teeth for quick and easy (single-bot) adjustment from double to mono point. Comes complete with anti-bot plates and a strap keeper to store away webbing.